We just got through with exploring one of the most beautiful cities we have ever visited. Incredible canals that run through the city, busy cobble stone streets that never sleep, and some of the most genuine people that seem to always be lending a helping hand or offering advice on new restaurants to try and new places to see. Ghent has easily become our favorite city in Europe. 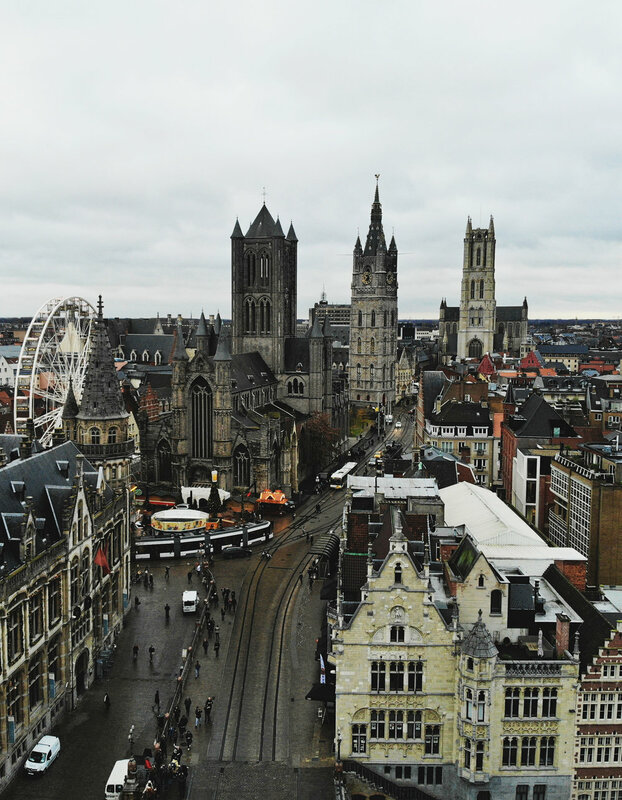 If you are looking for foreign countries to visit, that are not overly populated make sure to read more about things to do in Ghent, Belgium. 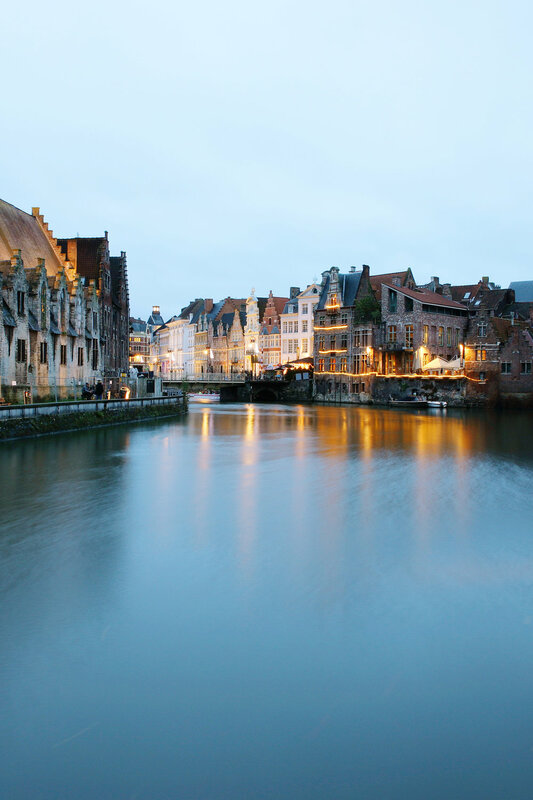 There are many ways to travel to Ghent, the easiest is by train, Eurostar is the recommended form of transportation. Make sure to plan for purchasing tickets in advance, as we made the mistake of waiting until the night before and prices surge dramatically. We took off from London and arrived in Brussels, where we arrived at the Station Brussel-Zuid. From there we boarded our stop to Ghent which was a short 30 minute train ride. a. Belfort - The 91-metre-tall belfry of Ghent is one of three medieval towers that overlook the old city centre of Ghent, Belgium, Its height makes it the tallest belfry in Belgium. In 1972 Unesco agreed on the Convention concerning the Protection of the World Cultural and Natural Heritage in order to protect sites and landscapes that are of unique universal value. The World Heritage List classifies these natural and cultural sites from all over the world. Saint Nicholas' Church - St. Nicholas' Church is one of the oldest and most prominent landmarks in Ghent, Belgium. Begun in the early 13th century as a replacement for an earlier Romanesque church, construction continued through the rest of the century in the local Scheldt Gothic style. St. Bavo's Cathedral - This church is the possibly the jewel of the city and can best be seen from the main bridge in the center of town. he Saint Bavo Cathedral an 89-meter-tall Gothic cathedral in Ghent, Belgium. 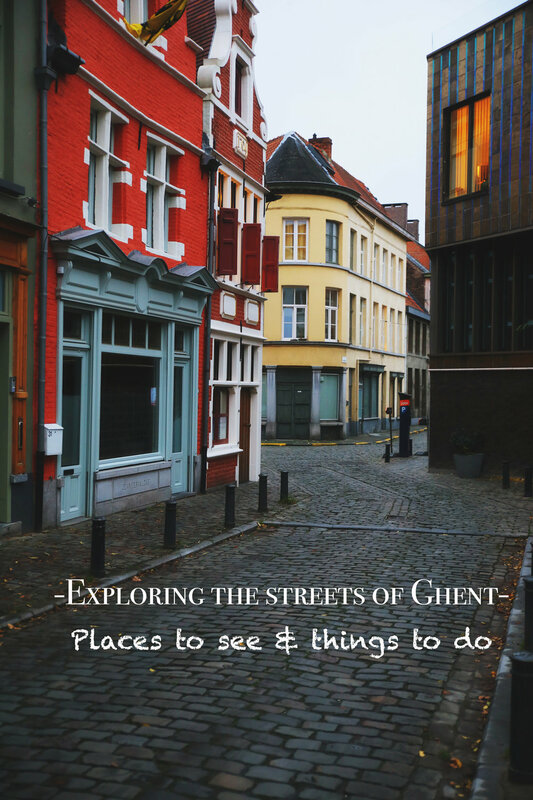 It is the seat of the diocese of Ghent, is named for Saint Bavo of Ghent, definitely visit the church and tour the inside as it has statues throughout the entirety of the church. Jiggers – If you want an experience and looking for a craft cocktail lounge make sure to head to Jiggers. New signature cocktail drinks every week, and bartenders that are extremely skilled in their craft. The low lighting and music selection definitely makes you feel like you are in a different country, and it is amazing. Keizershof - Great selection of food in the main square of town, we did not eat here but were recommended by many to try this out. Simon Says – This is an upbeat coffee and breakfast spot with an awesome vibe. Frites Atelier – Hands down the best Fries we have ever had, the sauce is incredible also. The chef was a 3 Michelin star restaurant operator and started his own gourmet style burger and fires lounge. About us: Hi! We are Andy and Brittney, San Diego wedding photographers who love to travel and explore new cities and countries. If you are engaged and looking for a wedding photographer we would love to talk! We enjoy the diversity weddings have to offer and why we believe this is the best career possible, if you are looking to have a wedding locally in Southern California or planning a destination wedding possibly in Europe let us know, we would be happy to share some suggestions. Congratulations & enjoy the panning!